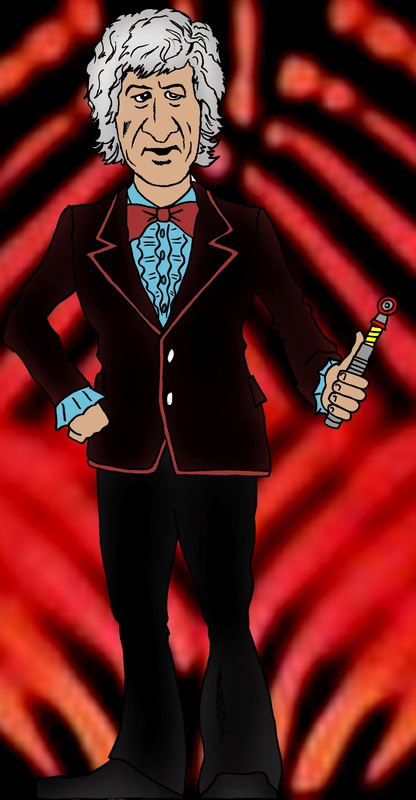 I'm utterly convinced that's how the other Doctors think of the 8th Doctor. It'll never matter that he had a whole run of comics and books or that he continues to have his own distinct line over at Big Finish. Nope, he'll always be Movie boy, even if he does have a new coat. 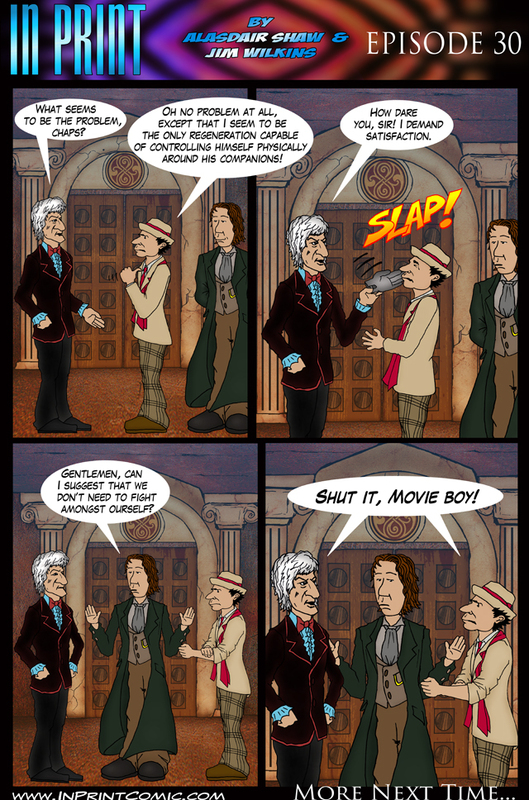 And yes, this is a running gag, it has been ever since the second strip. I have every faith that I'll use it again. There's been a bit of buzz this week about the latest Paul McGann series from Big Finish. I wrote a bit about it and about his new coat. you can read that here. Regular readers will know that we put forward our own theory on where the leather coat came from. I could be wrong, but I don't see Big Finish tying in with our version. 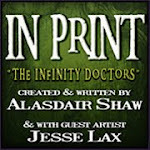 Anyway, I'm about to go on holiday but before I do it's time to announce the In Print Fan Art Contest. We want to see your versions of our Doctors in any of our story arcs. 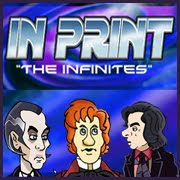 Post entries either on our Facebook page or mail them to inprintfanart@googlemail.com. Please try and keep to characters we've used although that's not a strict rule. The chance to feature in our Fan Art Gallery and maybe even a Guest strip are up for grabs... we'll keep this open till the end of September just for now. As always I'll just remind you all to check In Print on Facebook and Twitter.